CD Dolly Parton, promo CD new in a cardboard sleeve FREE UK POST!! CHARLEY PRIDE. ULTIMATE HITS COLLECTION. 32 SONGS REPRESENTING PRIDE’S LEGENDARY CAREER TO-DATE. You're So Good When You're Bad. Never Been So Loved (In All My Life). Kiss an Angel Good Mornin'. I Know One. I will send the cdout in a strong jiffybag and mark fragile.Combined post available Any winning bids over £20 will be sent by signed for mail. Any winning bids over £50 will be sent via special delivery. Please wait for the invoice. Do not accept damaged items and send straight back to me. If your item does not arrive in a timely manner or if you are unhappy with any part of yourctransaction please contact me. I require payment within 4 days of the item being won. You will not be disappointed when your item arrives. Happy bidding. Artist:Charley Pride. All of our paper waste is recycled within the UK and turned into corrugated cardboard. We all like the idea of saving a bit of cash, so when we found out how many good quality used products are out there - we just had to let you know! ANITA COCHRAN - Anita CD 2000 Warner *PROMO* AS NEW! 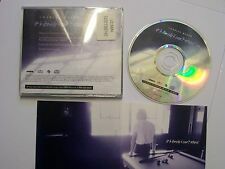 Here is a nigh perfect promo copy of her 2000 release. The disc is in stunning condition and looks super clean and perfectly handled! Booklet is stamped as promotional as pictured. This is an otherwise truly great copy of a well looked after release! This is a promotional cd album featuring Frankie Davies. The album is entitled " Wherever I Go “. Conor Oberst "Salutation". A US Promotional slipcover CD on the Nonesuch label. CONOR OBERST. CD & cover are clean, unmarked & present in a superb as new condition. Country Classics Vol 3. Title : Country Classics Vol 3. Binding : Audio CD. Artist : Various. Format : CD. Condition : Very Good. Product Category : Music. Here is a wonderful promotional copy of his 1998 release. Artist Various Title Country Classics Vol 3 Label: EMI Records Number of Discs 1. Second studio album from the British modern country music duo. Almost Easy - Ward Thomas. Material - Ward Thomas. Guilty Flowers - Ward Thomas. Good On You - Ward Thomas. Dirt and Gold - Ward Thomas. Here is a wonderful advance promo of his 1999 release. The disc is in stunning condition and looks super clean and perfectly handled! This is an otherwise great copy to own and enjoy! Just Breathe. Cold War With You. My Window Faces The South. WARD THOMAS. Where The Sky Is. Dirt And Gold. Good On You. ARTIST: AMY LaVERE. The jewel case has slight shelf wear. JEWEL CASE CONDITION RELEASE DATE. Such is NOT the case. All photographs are of the actual item for sale. Artist: Dustin Lynch. His self-titled debut hit No. 1 on Billboard's Top Country Albums chart - making him the only new male artist to achieve such a feat that year. Hell of a Night. Format: CD. Title: Where It's at. PUSHIN' AGAINST A STONE. Pushin' Against A Stone - Radio Edit. Pushin' Against A Stone - Album Version. ARTIST: VALERIE JUNE. CD CONDITION RELEASE DATE SBEST 141P. ARTIST: AMY ALLISON. EVERYTHING & NOTHING TOO. WALLET / INSERT CONDITION CD-R CONDITION RELEASE DATE. Title : Chris Cummings - Chris Cummings. Director : Chris Cummings. Genres: Country. Artist George Ducas Title Where I Stand Release Date 1997-01-14 Label: EMI Records Number of Discs 1. 1 7 Stay The Night. 1 10 Id Be Lying. 1 9 Heartaches And Dreams. 1 8 The Invisible Man. 1 6 Tricky Moon. Up for Grabs, Guy Mitchell Sunshine Guitar Australian Promo CD – Like New. Back Cover Is Custom Printed With Promo Details. CD Like New. Title : Catherine Britt - Catherine Britt. 〉 © lanah247. Under My Thumb. Genres: Country, Pop. Where Do You Go?. Since You Slipped Away. Sleepy Town. Director : Brewn. Published : 12 Mar 2013. Up for Grabs, Carolina Rain I Ain’t Scared Promo US – Country CD Single – Like New. I Ain’t Scared. CD Like New. This is a promotional cd album featuring Wade Bowen. The album is entitled " Solid Ground “. Artist Honky Title Kuljit Release Date 1996-04-26 Label: EMI Records Number of Discs 1. Fight songs (1999). The Largest Collection in Germany. Second Hand and New. Here you may buy music at very low prices. _gsrx_vers_827 (GS 7.0.13 (827)). 〉 © lanah247. 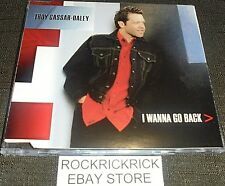 TROY CASSAR-DALEY - I WANNA GO BACK. GOOD - DISC HAS MINOR MARKS THAT DON'T AFFECT PLAY. HOW MY CD'S AND DVD'S ARE RATED. VERY GOOD - DISC IS CLEAN. Dolly Parton : Little Sparrow CD (2008)Title: Little Sparrow Artist: Dolly Parton Genre: Country|Country Duration: 52.40 mins Format: CD / Album Type: CD No. of Discs: 1 disc(s) Studio / Label: Sanctuary UK Release Date: 17 Mar 2008. Hispanic country crooner Rick Trevino's fourth English record is a brokenhearted love poem that radiates with Nashville polish. RICK TREVINO. IN MY DREAMS. In My Dreams. PROMOTIONAL RELEASE -- GOLD PROMO STAMP ON FRONT INSERT. STRICTLY FOR THE REGGAE REVIVAL CONISSEURS ! 10 - Charlie Ace And Sticky - Penny Reel. EXCELLENT MIX FROM 20 - Jackie Brown - Wet Baggy. 22 - Watty Burnett - Dash It Pon Him. 14 - Prince Brothers - Let Them Play. Authentic Australian Acetate Promo CD. CD Like New. Binding : Audio CD. Artist : Various. Format : CD. Condition : Very Good. Country Legends-Cowboy. 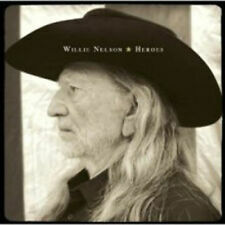 Title : Country Legends-Cowboy. Label : Import. Product Category : Music. Steve Earle : El Corazon CD (1997)Title: El Corazon Artist: Steve Earle Genre: Country|Country-Rock Duration: 45.10 mins Format: CD / Album Type: CD No. of Discs: 1 disc(s) Studio / Label: Warner Bros Records UK Release Date: 06 Oct 1997. It's Lonely I Can't Stand. Promo only issue. Rare 1996 Canadian CD from Arista. Genre: Country. Artist Helen Darling Title Helen Darilng Release Date 1995-08-15 Label: EMI Records Number of Discs 1. 1 4 I Love Him, I Think. 1 8 Thats How You Know Its Love. 1 9 Next To Love. 1 10 Even God Must Get The Blues.